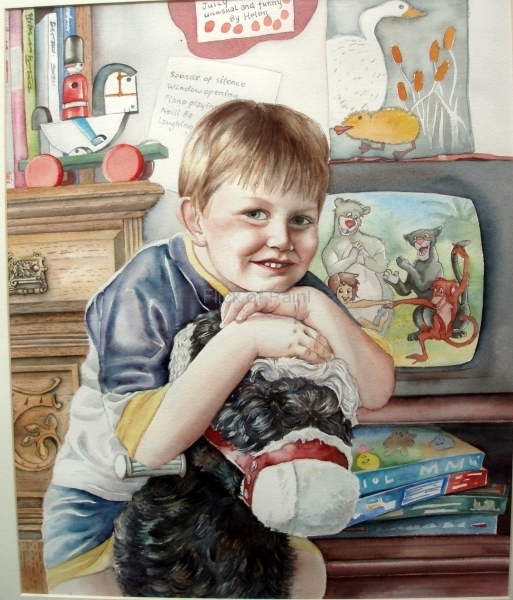 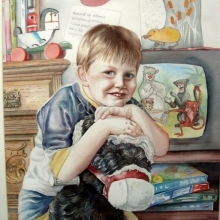 I can paint portraits from sittings or photographs, or a mixture of both! 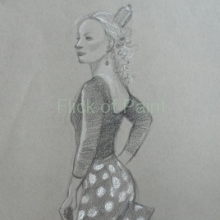 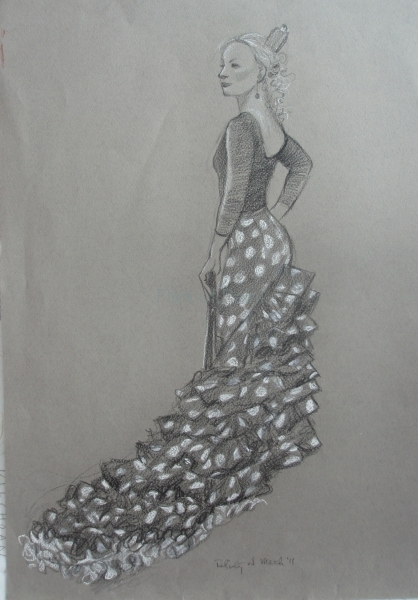 Drawn from life, Aleona the Flamenco dancer poses in her dress. 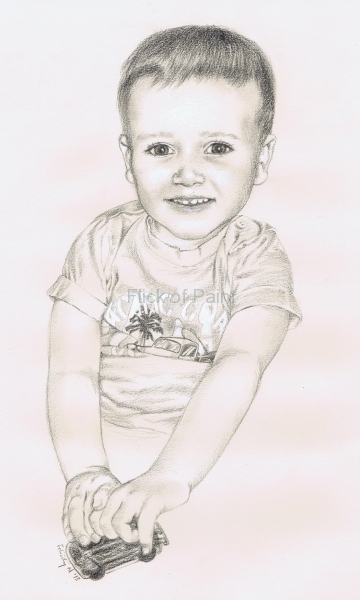 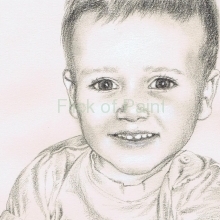 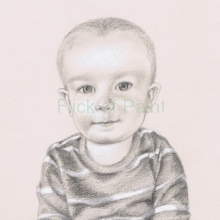 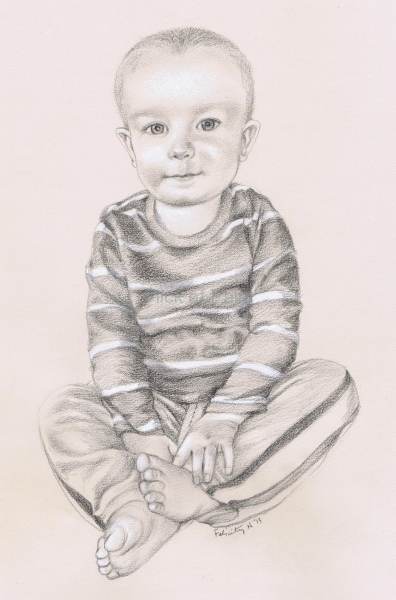 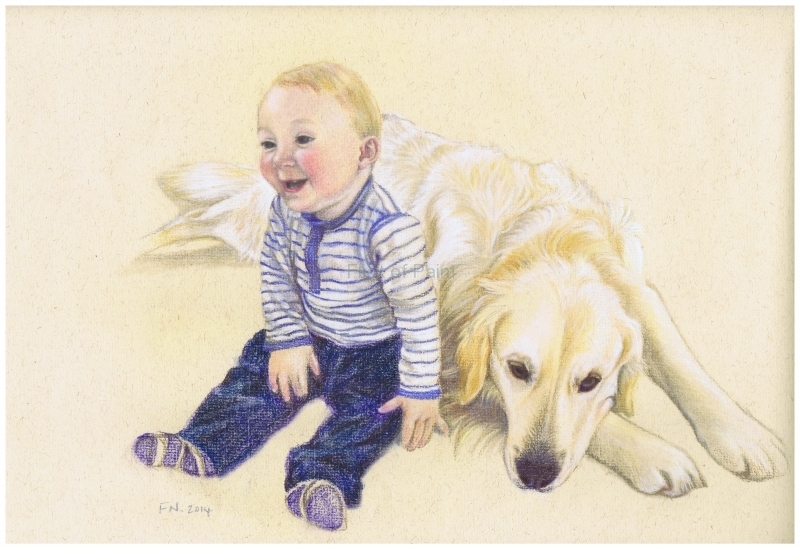 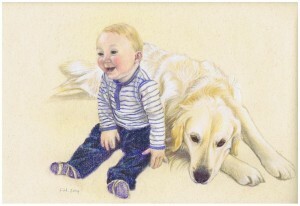 A3 size portrait of Finlay in conte pastelpencil on pastel paper. 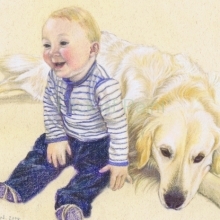 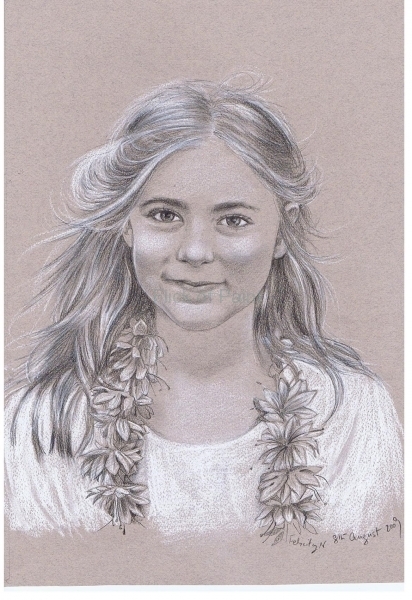 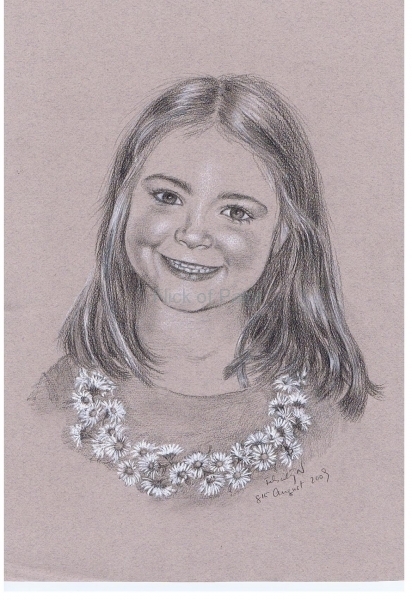 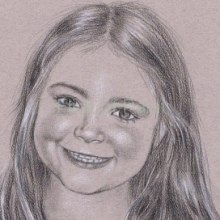 Portrait of Fergus's niece, wax pencil and chalk on pastel paper. 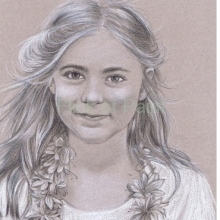 A3 size. 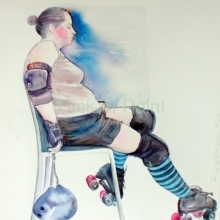 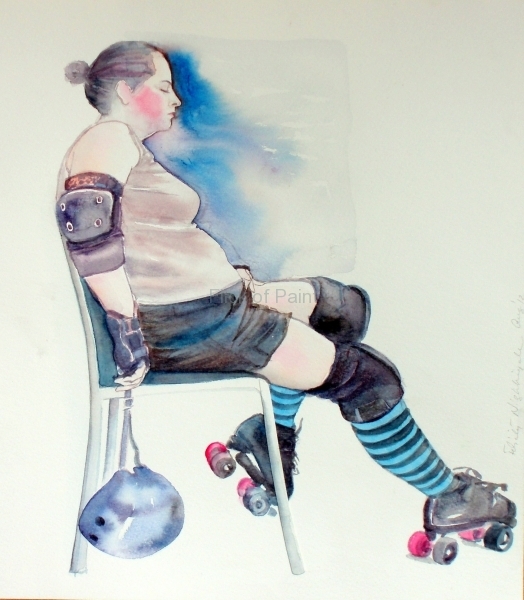 Claire roller blader, watercolour painted from life.